Builders & Architects – working on projects of any scale and budget. Buy Direct – Leveraging our relationships with furniture, art, decor, fixture, flooring and lighting suppliers allows us to offer very competitive pricing. Commercial – Creating spaces that stylistically reflect your brand and mission. Consulting – Using our years of interior design experience to guide you. Custom Window Treatments – Creating designs as unique as your home and personal tastes. Full Service Interior Design – designing and managing your project from concept to completion. Furniture & Accessories – Selecting home furnishings that are stylish, sophisticated and create warmth and comfort. Kitchen & Bath Design – Turning the kitchen or bathroom of your dreams into a reality! New Construction – Focusing on all aspects of interior design, acting as your advocate with builders and contractors to ensure your priorities are voiced. One Day Makeover – When you need to update a room for a special occasion, by a deadline, or to maximize visual impact. 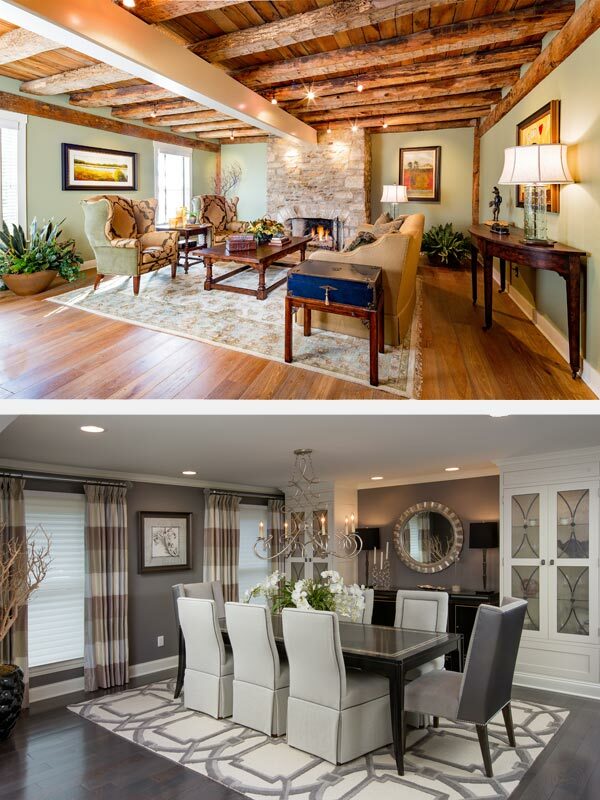 Redesign – Repurposing, rearranging and updating a room from a fresh perspective. Staging – Decorating a home to sell quickly and for top dollar. Contact us today to start the conversation about how we can work together to determine what services you need to fulfill your vision for your home and living spaces.